There they had ten children, three of whom died young. The film is much concerned with his grief at the loss of Anne (1841-51) who was one of the brightest and most delightful, and whose direct questions perhaps helped embolden him to publish On the Origin of Species in 1859, after a 20-year delay. The film opens with a title card describing the theory in that book as "the most important idea in the history of mankind." That's debatable, but it's certainly in the running. Had Darwin observed the wishes of his wife Emma, he would never have published it, and credit for Natural Selection might have gone to Alfred Russell Wallace or others. Its underlying concepts were very much in the air during those years, and the theory, which is obviously and provably true, would certainly have been codified by someone. Emma was a fervent Christian. 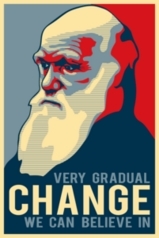 Darwin began life as one, but gradually drifted from the faith as his researches suggested that God need not have been involved in the creation of species, and that Genesis could not be taken literally. This was generally agreed upon by many serious Biblical scholars of the time, but they didn't thunder it from pulpits. In the eyes of the public Darwin would have committed blasphemy. Fearing to offend his wife, he was shy about extending his belief to the evolution of mankind itself, but it is certainly what he privately thought. He denied being a atheist, but said agnosticism came close to reflecting his views. Apart from his research and ideas about science, that conflict in this marriage and with the conventional religious of his times was the most significant thing about him. The movie devotes most of its attention to the marriage, as Emma (Jennifer Connelly) rebukes Charles (Paul Bettany) for his heretical convictions and thinks they mean the two of them cannot spend eternity together. They're both intelligent and deeply in love, and it's a shame the movie doesn't allow them to fully debate their differences. It sees their opinions instead somewhat vaguely as personality characteristics. Did it occur to Darwin or his wife that nothing in his ideas precluded the existence of God? 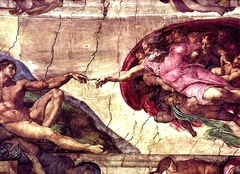 Today, no major religion finds conflict between God and the theory of evolution. The majority of Christians can live with both ideas; religious opposition to Darwin is limited primarily to a fundamentalist minority of American Christians. I ask myself, do we really need to watch the Darwins edging around the substance of their disagreement? The film maker, Jon Amiel, obviously has great respect and affection for the scientist--for them both, really. Did he restrain himself in fear of provoking controversy? Has it gotten to that point? "Creation" dares not state relevant ideas that were acceptable nearly 50 years ago, when "Inherit the Wind" was nominated for four Academy Awards. There's no such shyness in the anti-Darwin faction. These matters are of great interest to me. I wonder if they'll concern the movie's potential audience. Those who completely disapprove of Darwin will probably not attend in the first place. Those who admire him may be disappointed. 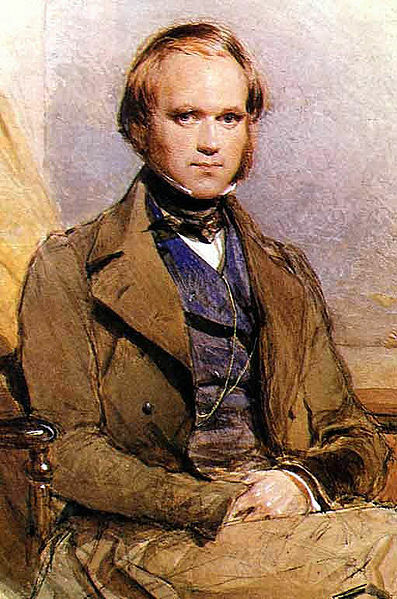 What remains is a portrait of a marriage during which Darwin was very ill for many years; armchair authorities speculate that some of his symptoms, including hallucinations and boils, may have been caused by tension, misery and the realization that his great idea might never see the light of day. There's no evidence that Darwin feared what society would think about On the Origin of Species. But he certainly cared about what Emma thought. And now for some cheerful news. By now you probably know that the Mayan calendar ends in 2012. This date has become fraught with portent, and the director Roland Emmerich will release an apocalyptic end-of-the world epic named "2012" on November 13--a Friday, wouldn't you know. The veteran producer and distributor Ian Jessel is in Toronto over the weekend as part of a tour to promote the new novel The Twelve, by William Gladstone. It also involves the alarming Mayan prophecy. But who knows how the Mayans thought the world would end? In fire, or bliss? Jessel plans to produce a movie based on the book. Playing it safe, he'll release it early in 2012. "It has an upbeat ending," he told me. "There is a lot of hope." Jon Amiel at the opening of the Darwin centenary exhibition at the Natural History Museum. 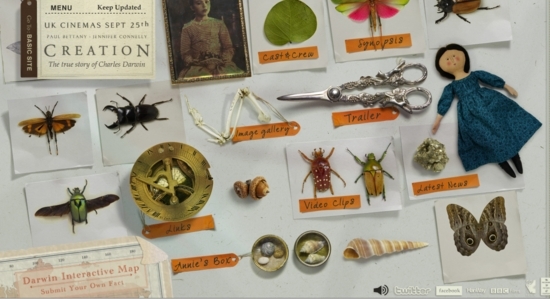 "All you need to know about Darwin in 4:59"
The rather beautiful "Creation" web site .